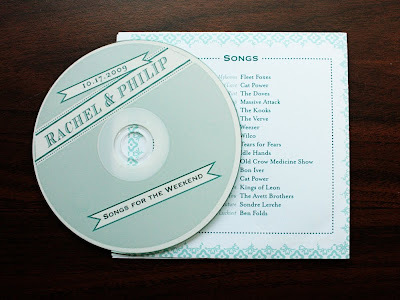 One of my favorite parts of my wedding guest's gift bags (more on those later) was a CD with some songs that were either special or super awesome to me and my hub. 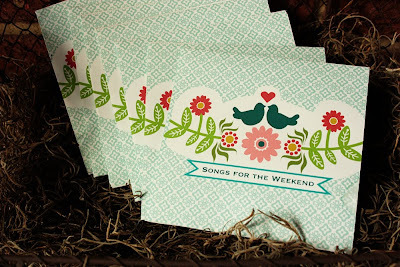 I used the bird and flowers illustration I created on the CD face. I left the back and front blank so you guys can write in (or Photoshop in) a playlist and mix title. Simply download or right click (control click on Macs) the template jgeg above. Print it out on cardstock and cut out. Fold the flaps down first, then fold the whole thing in half and glue the flaps to the back side of the CD and let dry. It'll look great with a blank, crisp white CD. I spend so much time at my computer and music always keeps me going. Each month, I always seem to listen to a selected set of songs on heavy rotation. I usually discover these by listening to Minneapolis' MPR, The Current, one of the most awesome stations ever. Birds of Virginia "Drink Yourself to Even"--very fall-ish. Unfortunately, I can't find them anywhere but Myspace. Boo. Fleet Foxes "Mykonos"--I first heard this on SNL and it stopped me and my husband in our tracks. We sat there and listened, mesmerized. The Doves "Kingdom of Rust" --epic, beautiful and haunting. "Jetstream" and "Winter Hill" are awesome, too. Heck, buy the whole Kingdom of Rust album if you like these songs. Massive Attack "Teardrop"--an oldie but goodie. Yes, the theme from House. Bon Iver "Bloodbank" --makes me think of cold air and wet leaves. Cat Power "Babydoll" --another one of those slow, lilting, haunting songs I love. Old Crow Medicine Show "Down Home Girl" --I have yet to hear a bad song by this awesome band. Okay, I'll stop there. Let me know if you guys like this playlist and CD case. If so, I might try to do something similar each month. *I love downloading from Amazon because you don't have the restrictions you do on iTunes and amazon is often a bit cheaper. If you link over to the songs, from this post, click on the arrow to the left of the song listing to listen to the song. Well, I LOVE it! And I really like, "Babydoll" and "Duet" and "Mockingbirds" and of course, "Modern Nature". Oh, and "Mykonos"! Good job! I'm ALWAYS looking for new music. I'll check out these songs, thank you! And I love the CD case. 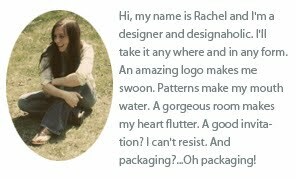 i just stumbled across your blog from oh so beautiful paper and i must say, i am sure glad i did! the cd case is adorable and i will for sure be using it. also, we have the same taste in music. keep it up! 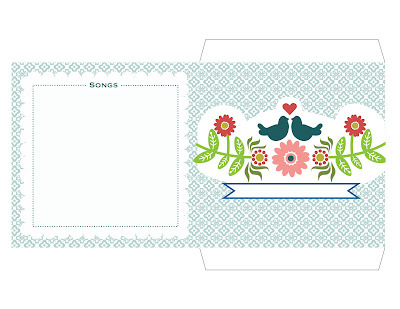 Coming from Oh So Beautiful Paper... love this cd template! Thank you! these are really beautiful - thank you! Hey, we have pretty similar taste in music -- I'd love to see future playlists! yay! This is fantastic, thanks so much! I'll be linking. This is so great - we share tastes in music...I'll definitely check back in to see if you do another. Thanks! Thank you all so much for your kind words and the links. With all the wonderful feedback, I anticipate continuing this project with a new playlist and new CD template to post in mid-December (I'm working on the design right now and I think you all will just love it). It might make a perfect DIY stocking stuffer for a friend or loved one, so stay tuned! You made my day! Thanks for all the great songs to my theme and my taste (and OH MY how sweet that template is)... Very appreciated. love the CD case and would love to see more! thanks so much for sharing it and the music--so good! I can't believe I found your blog. I literally was just telling my fiance that we should do a CD like this with "good" music for our guests to broaden their musical horizons. The template for the CD cover totally matches our 2-birds theme and I LOVE the current and all of the songs on your playlist. THANK YOU! i'm way, way late to this post (because i just found your blog today), but i just wanted to comment & tell you how much i love it. the case is super cute & your song recommendations are right on. 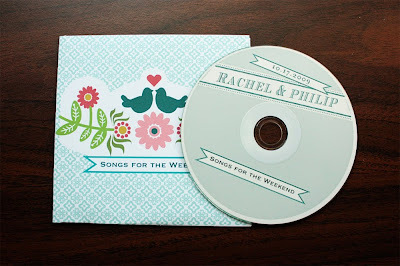 I'm so new at printing, and photoshop....I'll like to do a similar pattern for our wedding favors, but don't know what software or printer to use to print both the CD Sleeve, and the sticker for the CD itself, can you guide me in the right direction? I just used a plain old desktop HP 309 printer and label paper from Office Depot. The design/layout was created from scratch in Illustrator. do you have a template for the cd label? Lovely, thanks so much for sharing ! Do you have the template for the actual disc? I like this very much and may use it for my wedding favors. Thanks for sharing.